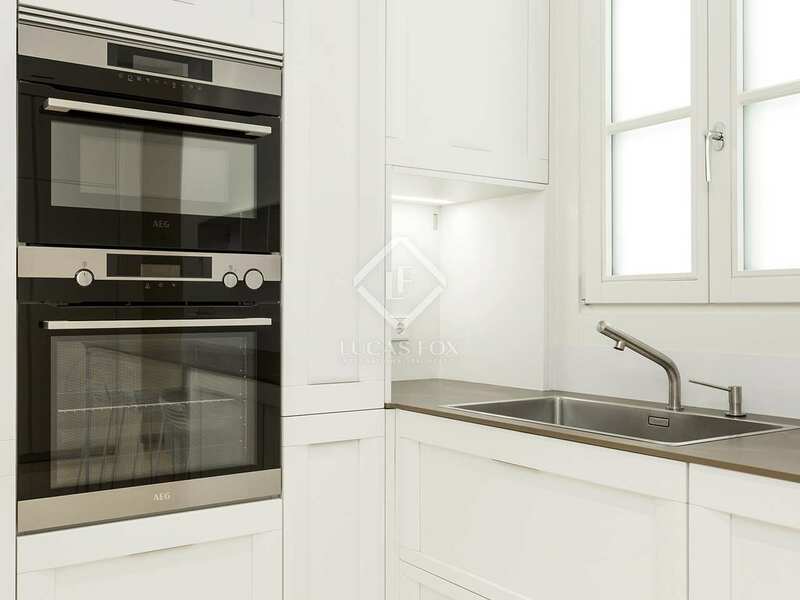 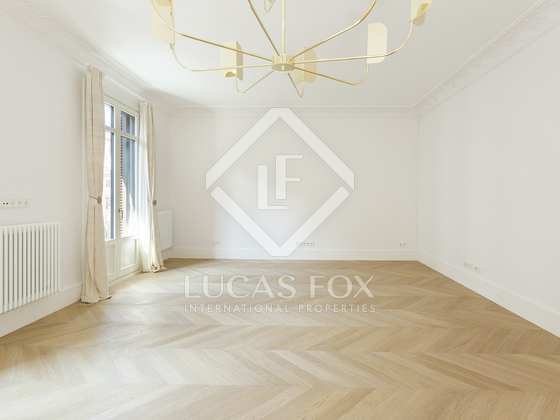 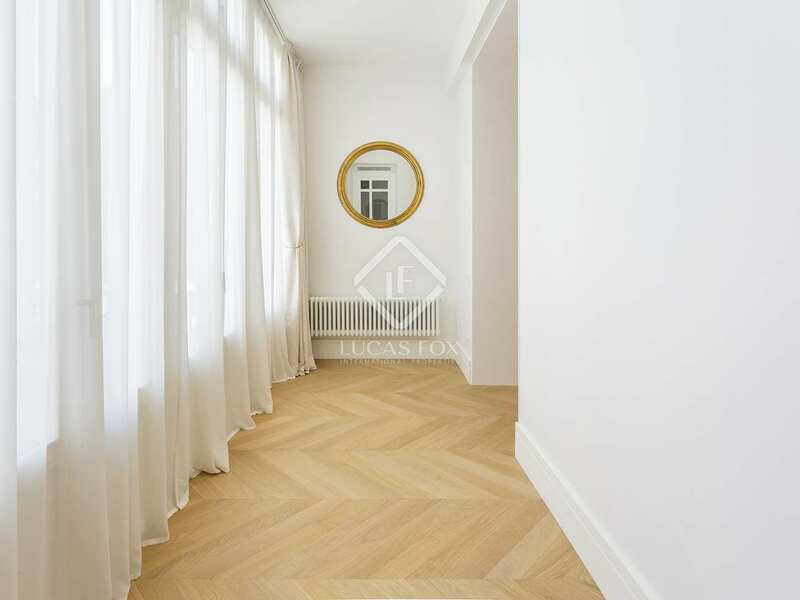 Renovated apartment with period features and abundant natural light, for sale in one of the most sought after areas of Barcelona. 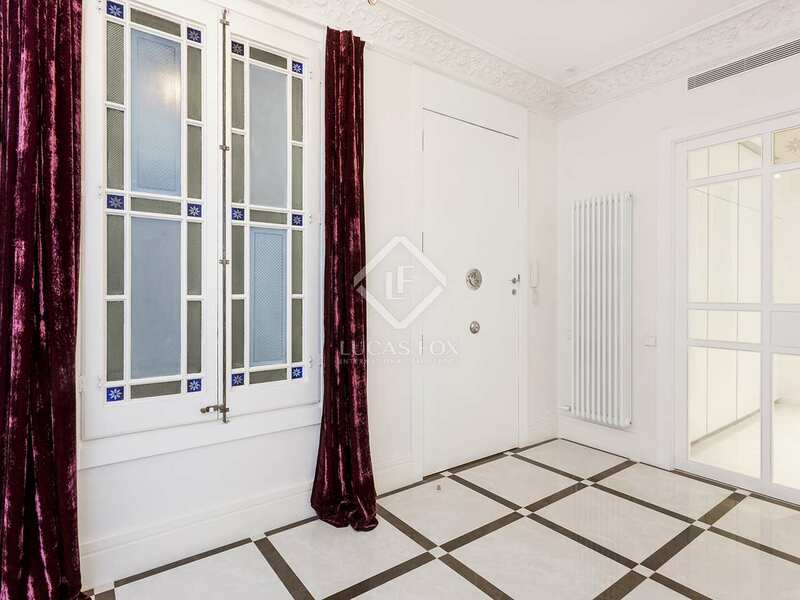 This fully renovated apartment for sale is in a 'finca regia' building which has maintained some of its original features including the façade, hydraulic tiled flooring and high ceilings. 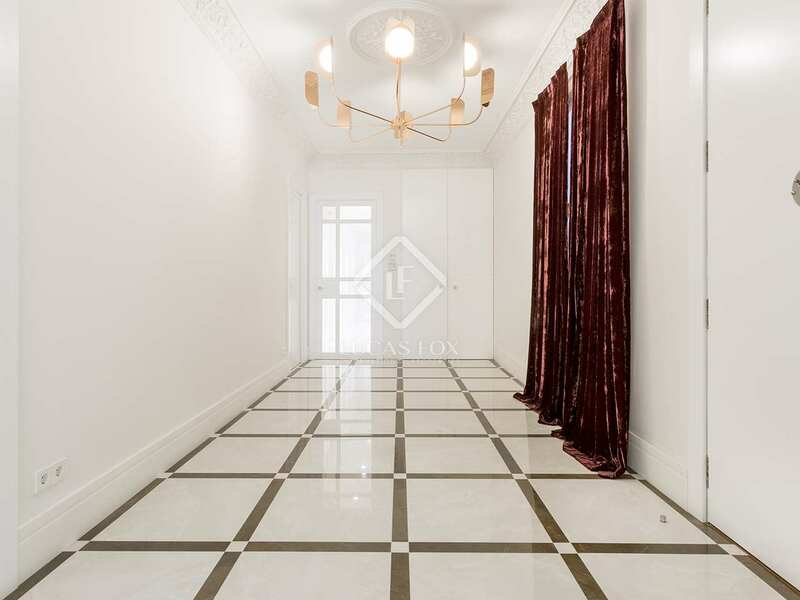 The building is in the heart of the Eixample, just a few minutes from Plaça de Catalunya and Passeig de Gràcia, and has a lift and concierge service. 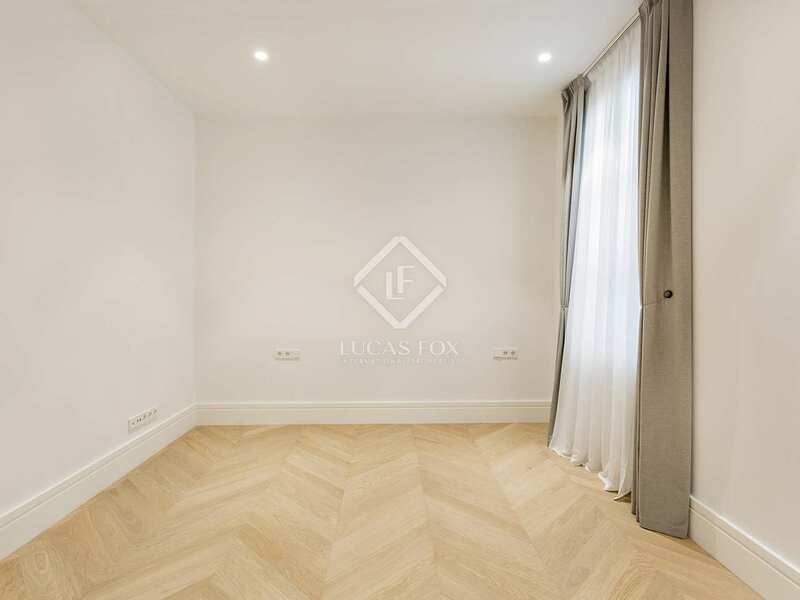 The apartment is on the second floor (third floor in terms of real height) and offers marvellous views over the street and city from the 2 balconies as well as an interior courtyard. 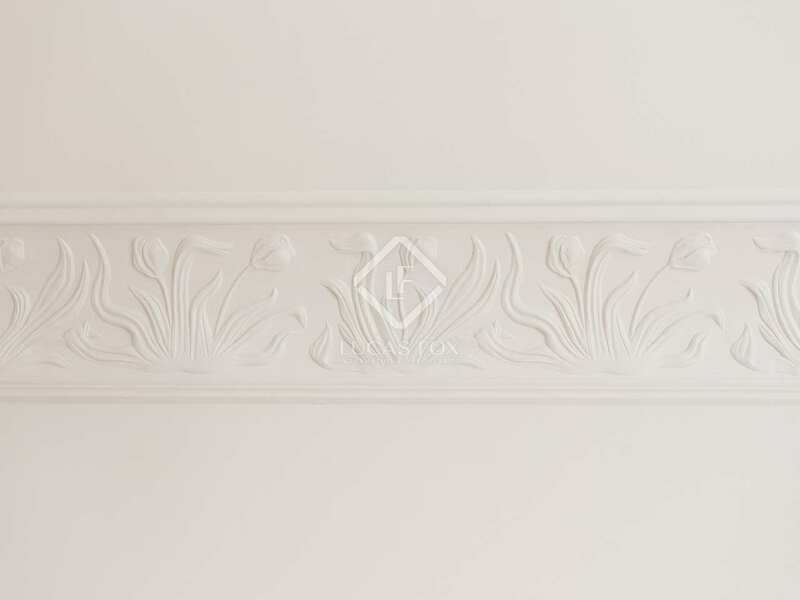 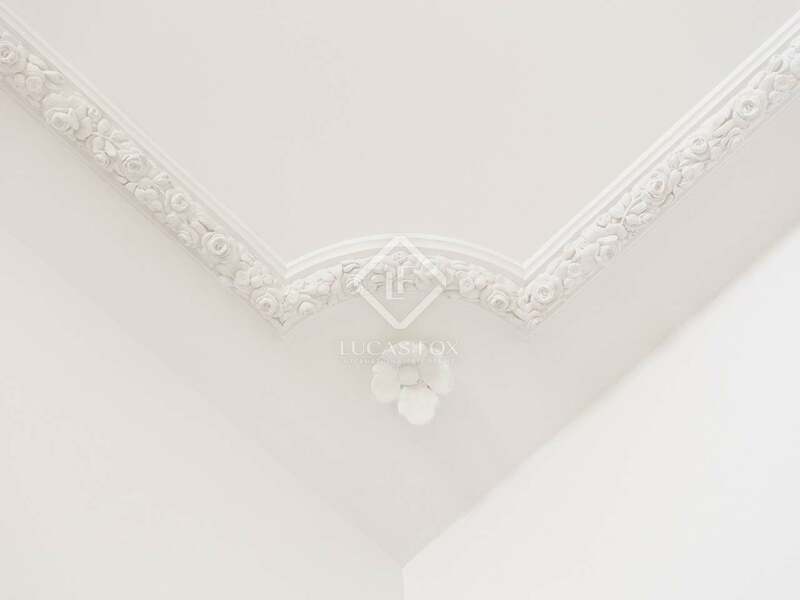 All the rooms are spacious and receive lots of natural light; many of the rooms have maintained ceilings with a height of over 3 meters and original molding. 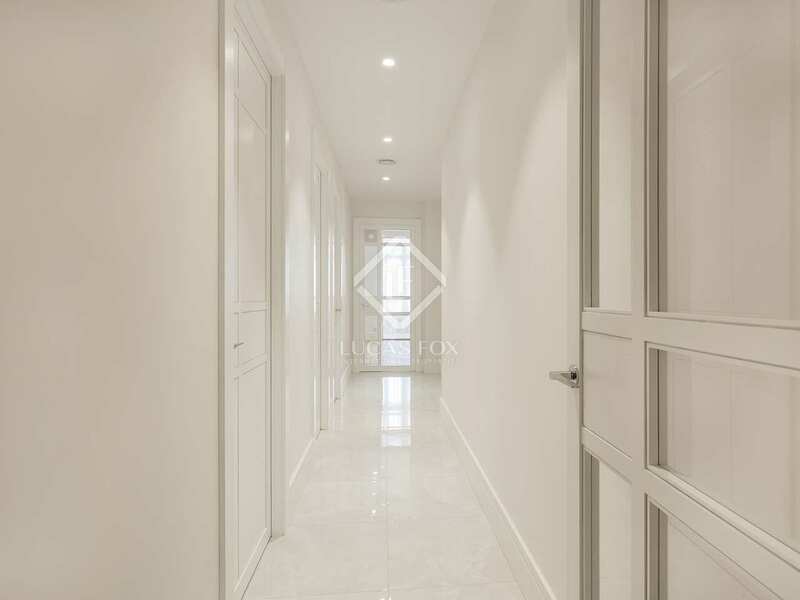 A large entrance hall welcomes us into the property which separates the day from the night area. 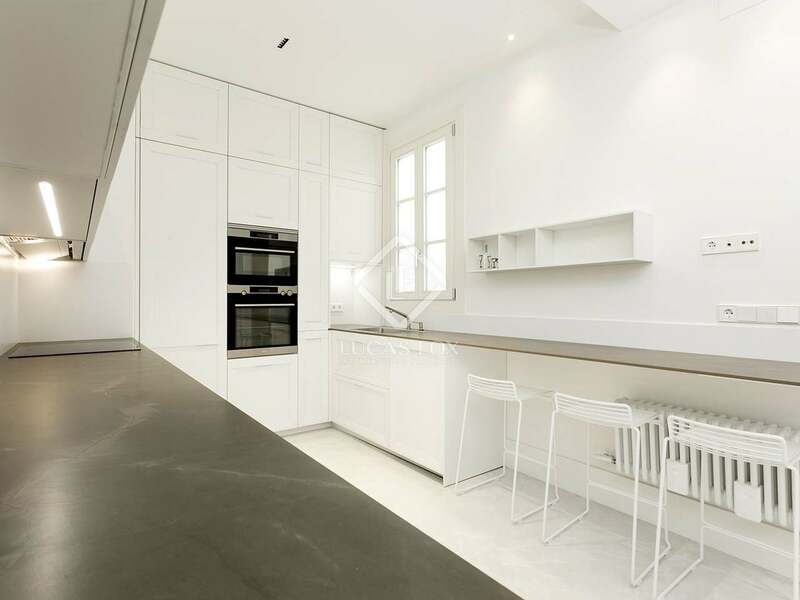 The living room has 2 pretty balconies which overlook Carrer de Balmes, whilst the separate kitchen is fully equipped and has a utility area. 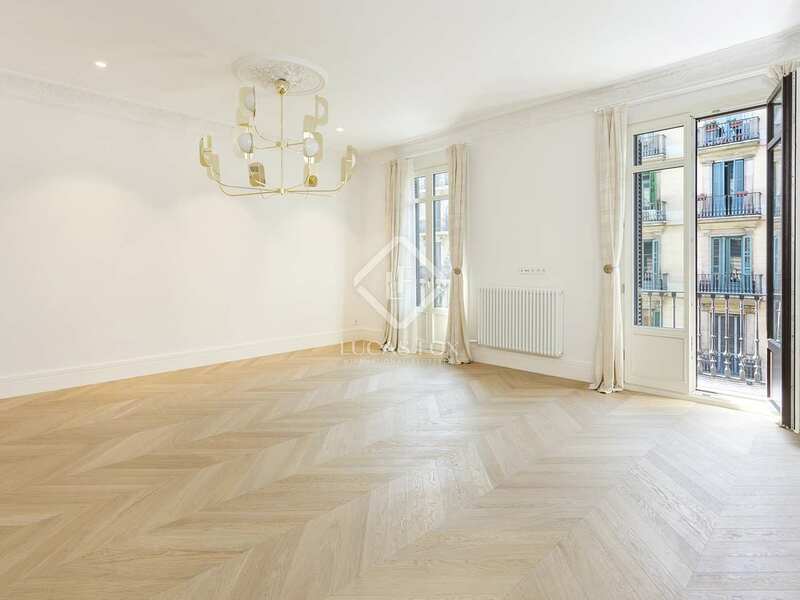 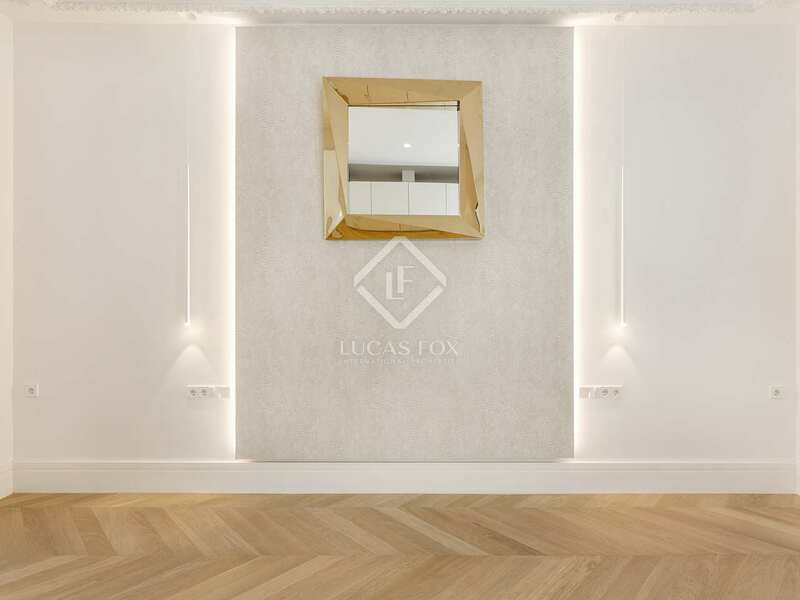 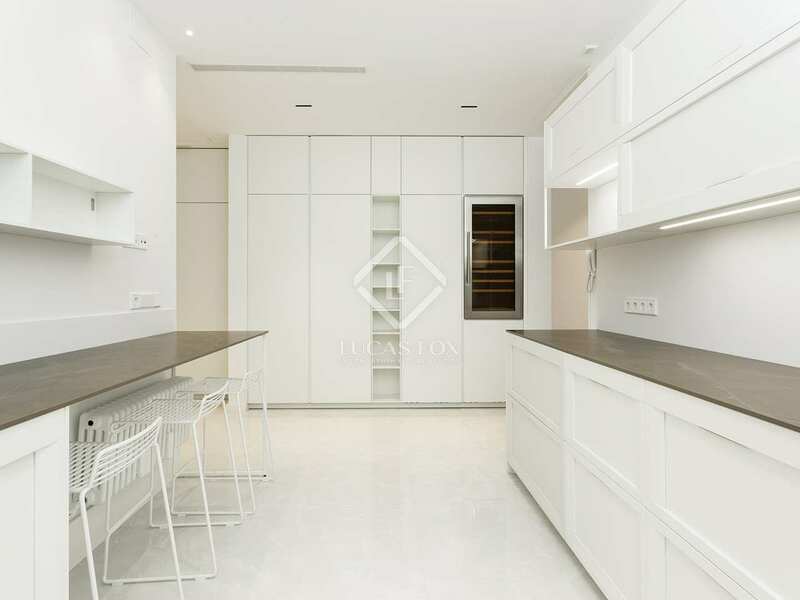 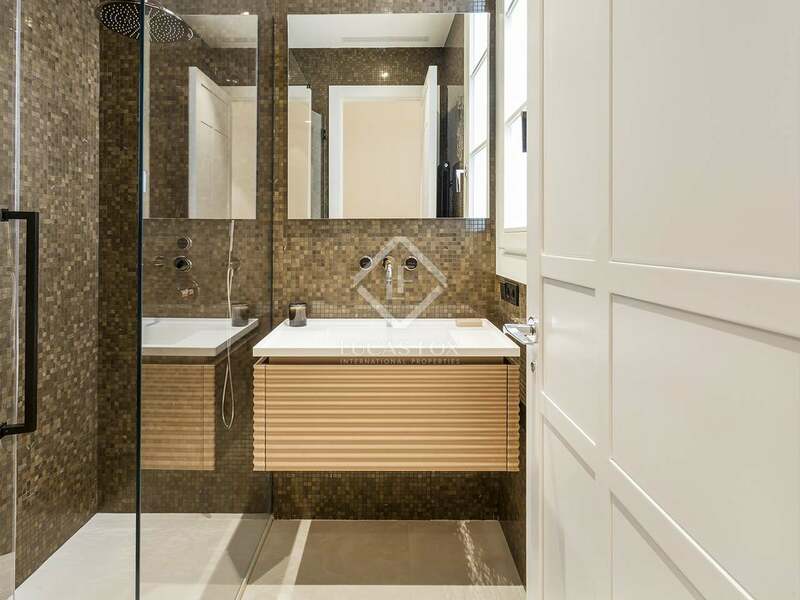 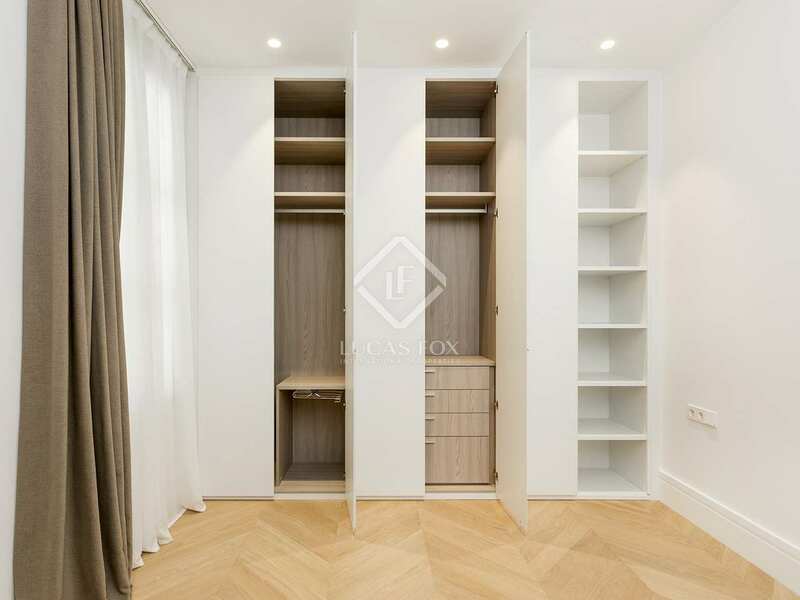 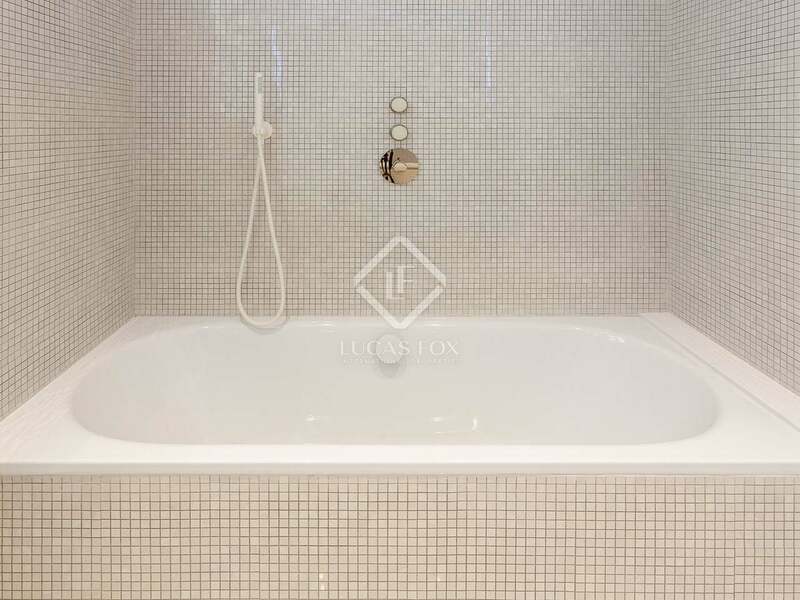 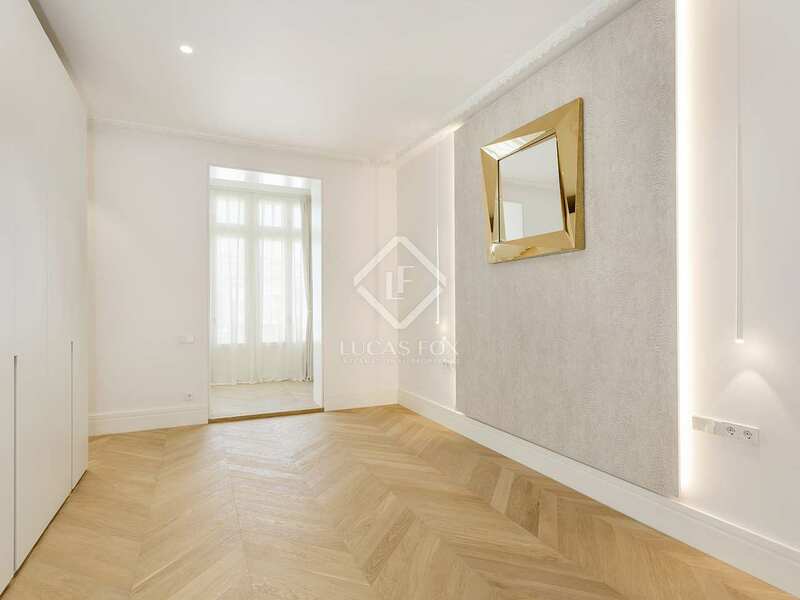 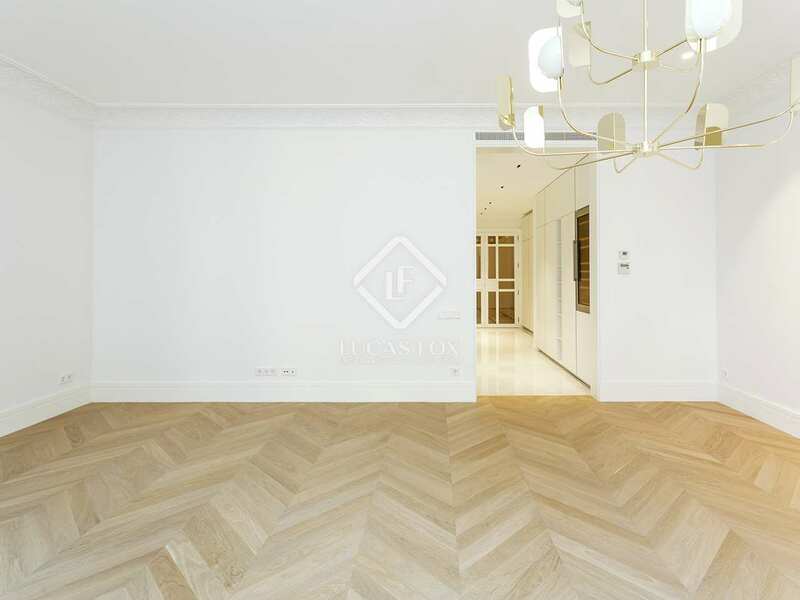 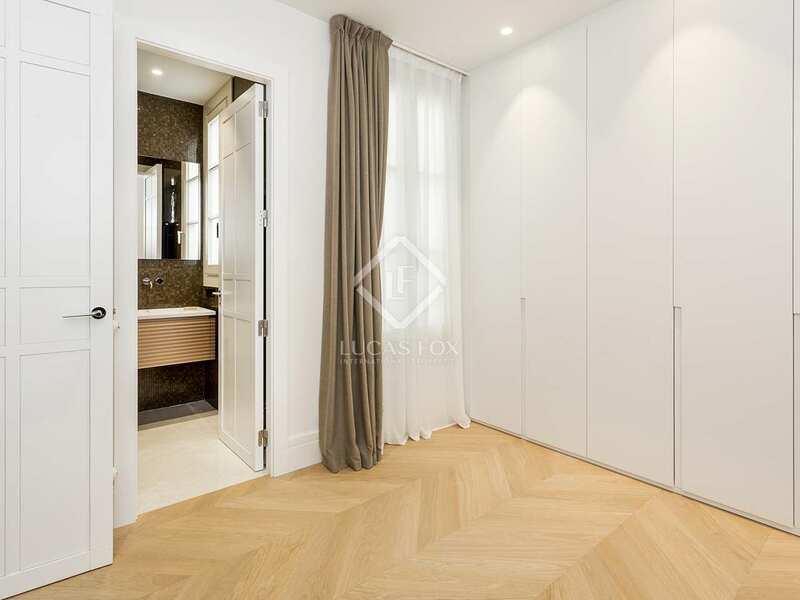 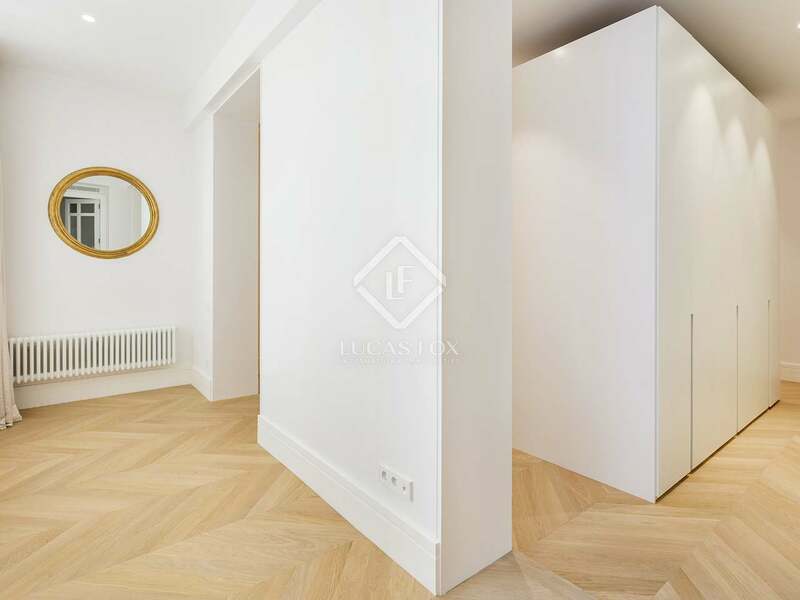 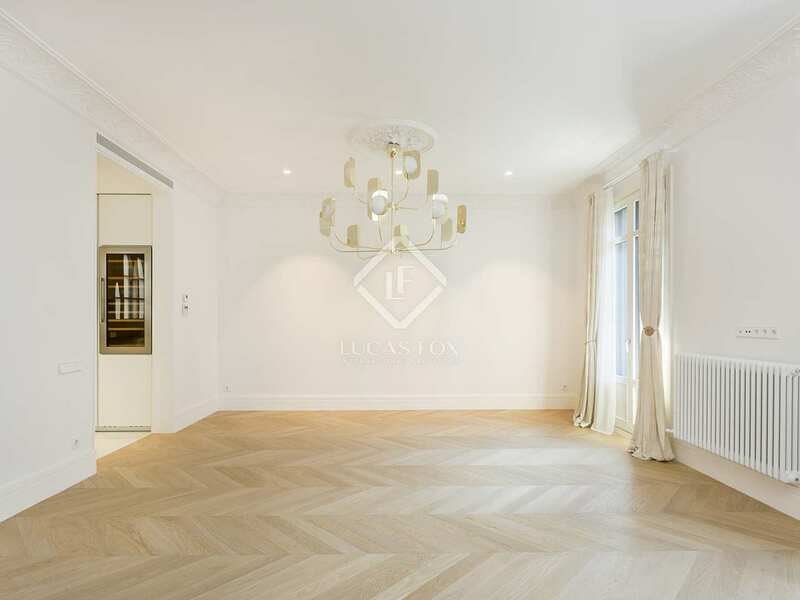 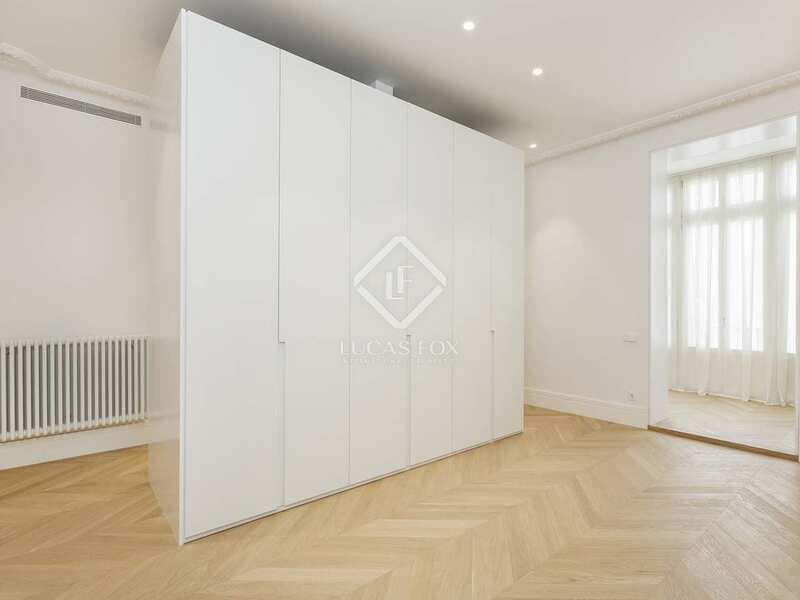 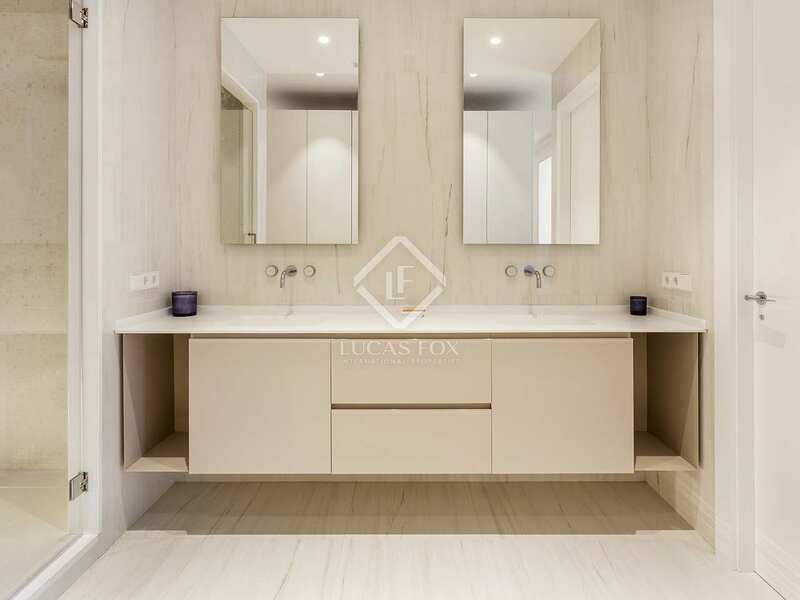 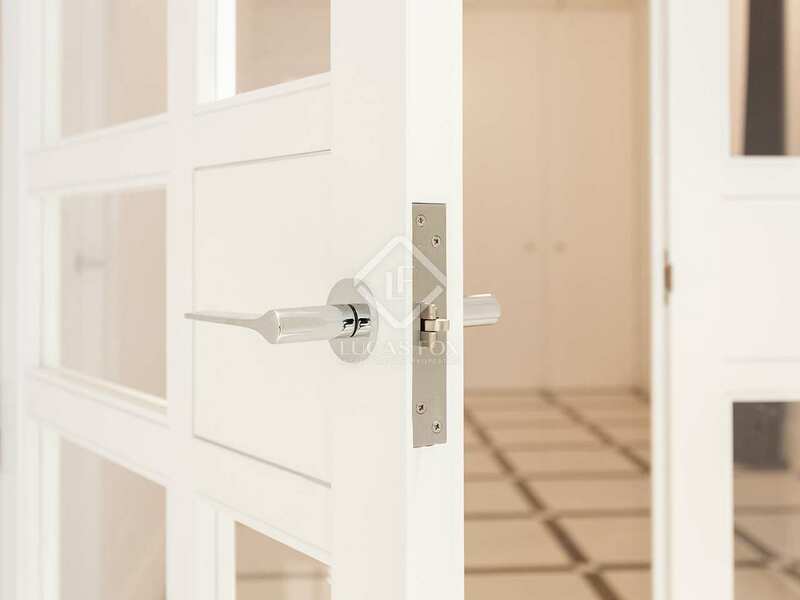 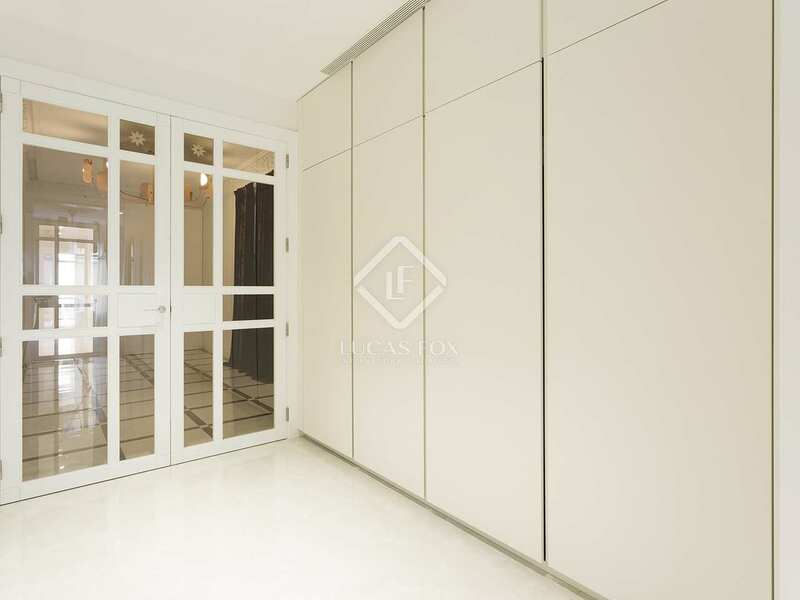 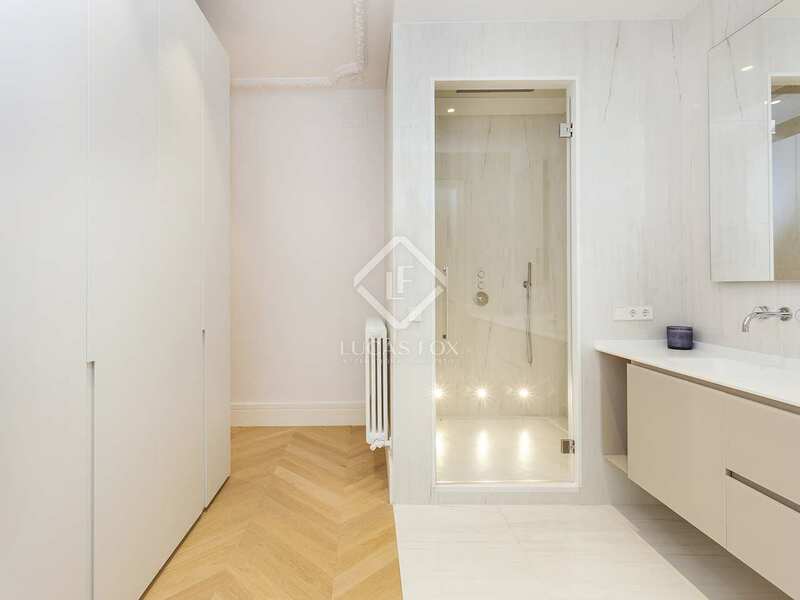 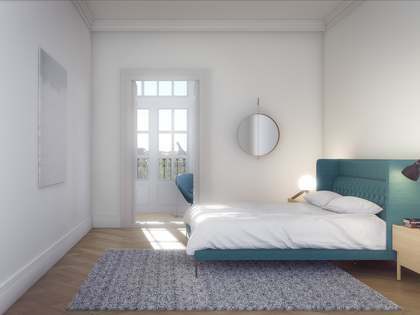 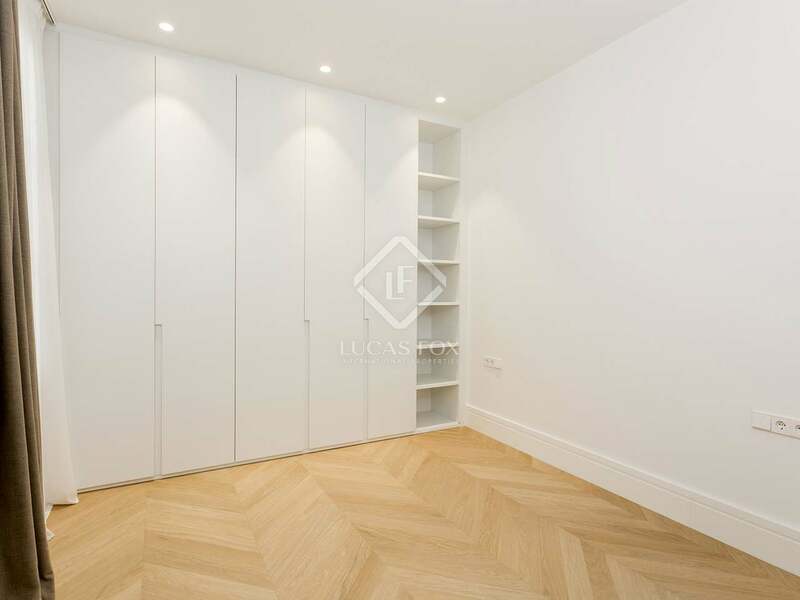 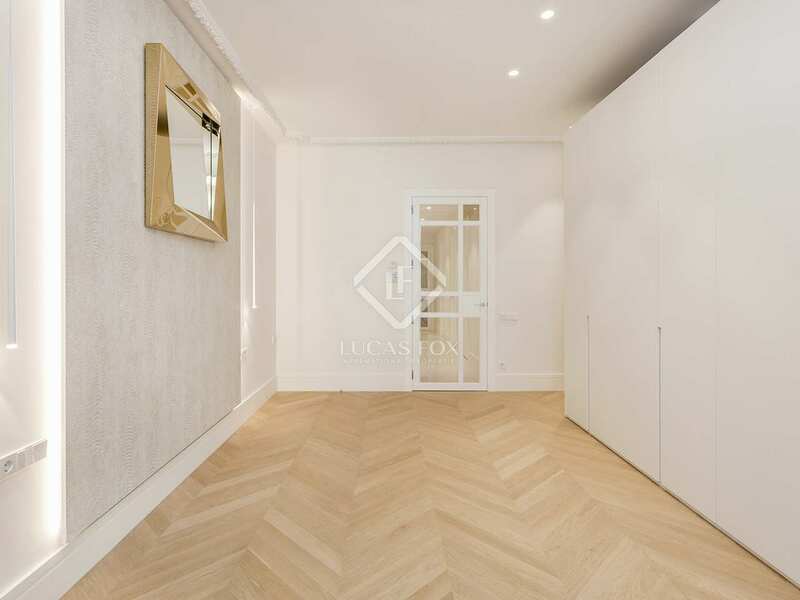 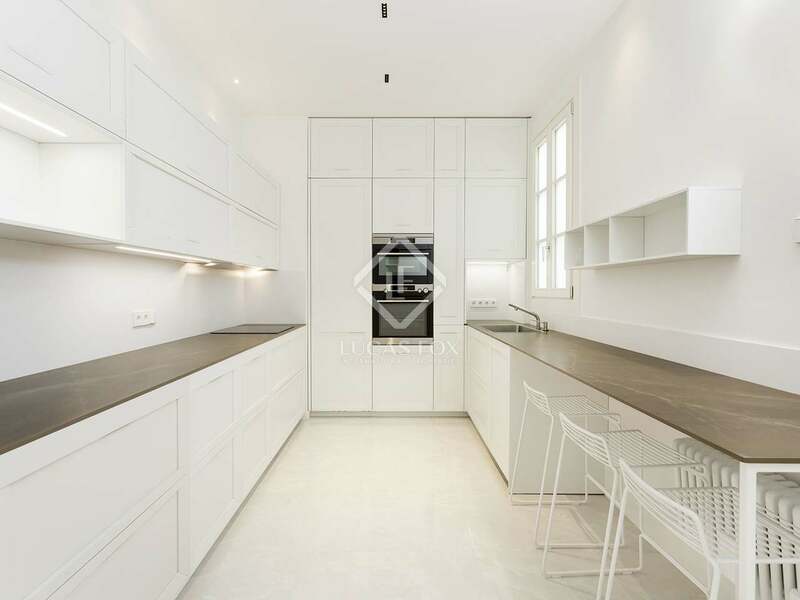 The night area, with wooden flooring, instead of the marble flooring found in the day areas, offers 3 double bedrooms (1 with en-suite bathroom) and an impressive master bedroom with en-suite bathroom, dressing room and opening onto a gallery typical of the Eixample. 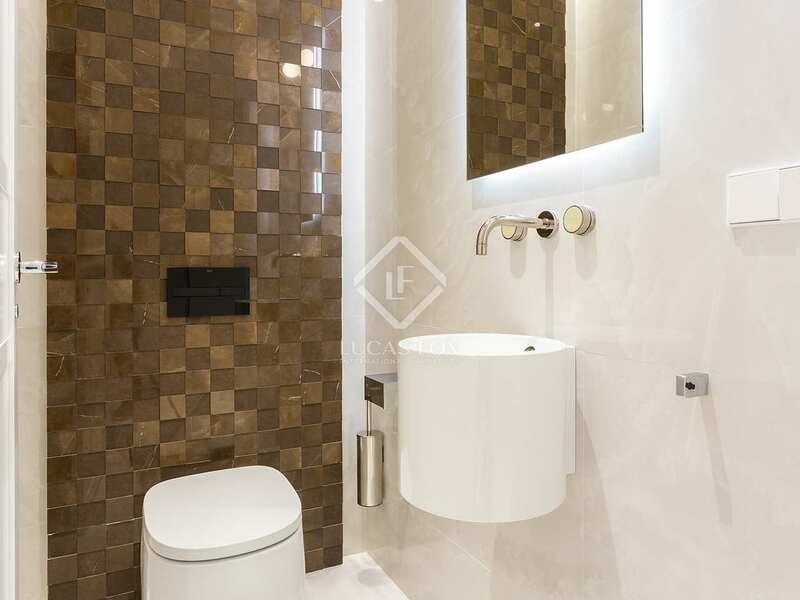 Two guest toilets complete this excellent property. 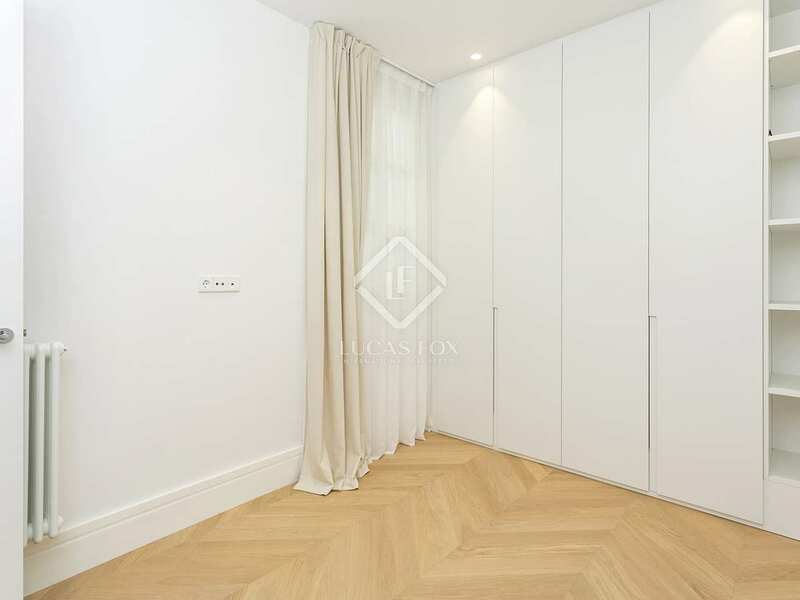 The apartment is heated by radiators to guarantee comfort throughout the year. 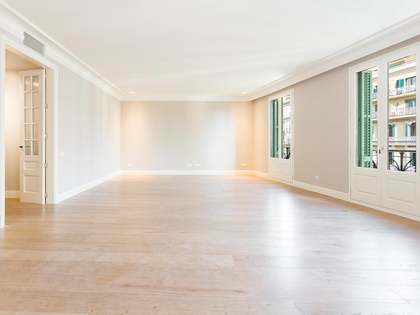 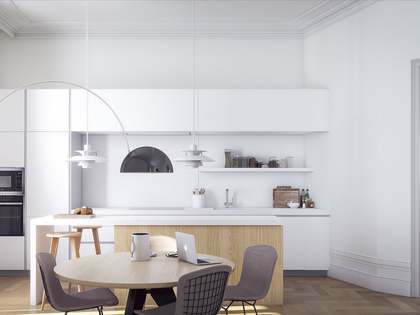 A perfect family home in the centre of Barcelona. 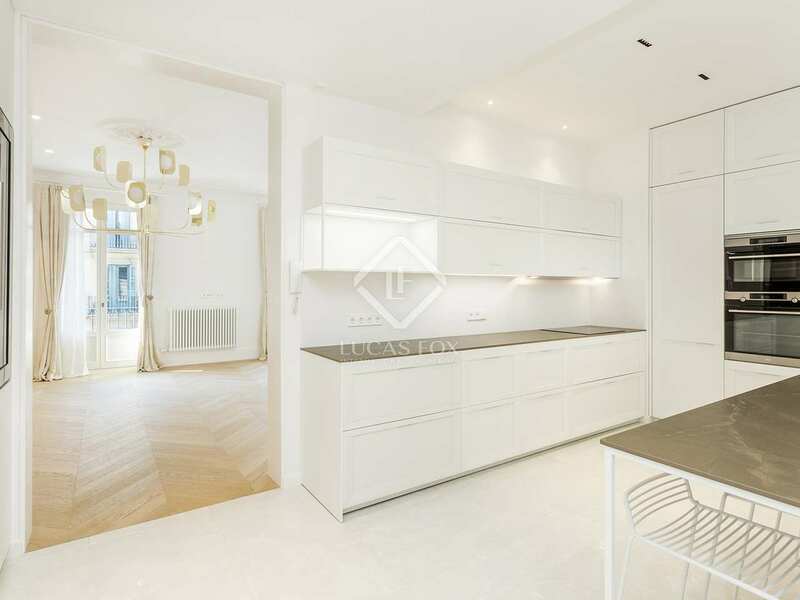 This apartment is perfectly located in central Barcelona, just 2 minutes from Plaça de Catalunya and La Rambla and 2 streets from Passeig de Gràcia and its designer and high street brands. 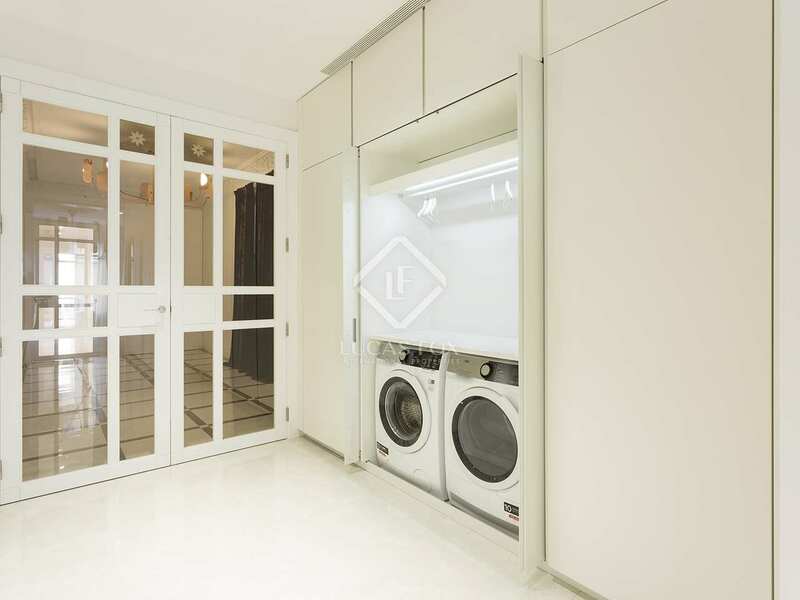 The property is very well connected to the rest of the city by public transport as it is near many metro and bus stops (the closest metro stops are Plaça de Catalunya and Universitat). 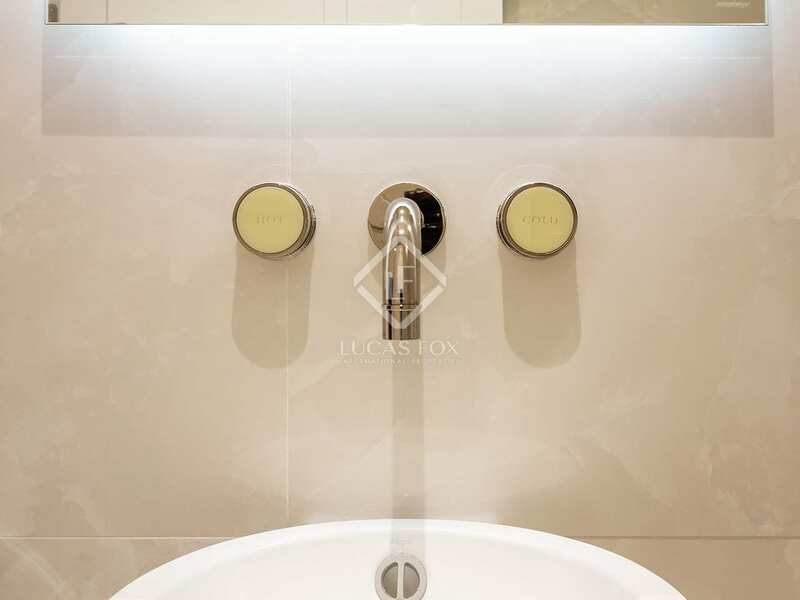 Due to its central location, it is surrounded by everything from schools and museums to restaurants and shops.